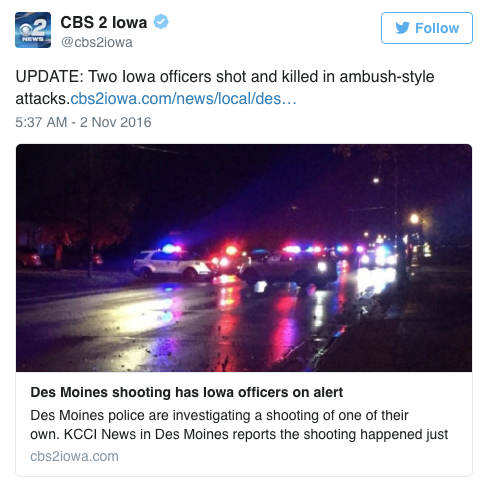 In yet another ambush style attack on police officers, two Iowa police officers were murdered while in their separate cruisers early Wednesday morning. The two attacks were on separate officers in separate cruisers, not two officers in the same cruiser. As of 7:30 am, police identified the suspect as 46 year-old Scott Michael Greene. He is considered to be armed and dangerous. They said Greene, an Urbandale resident, was last seen driving a blue Ford F-150 with a silver-colored topper. Police are withholding the names of the two police officers that were killed until their family members are fully notified of their deaths. The Des Moines Police Department released a statement saying that officers responded to a report of shots fired around 1:06 am on Wednesday morning and found an Urbandale officer shot and killed in his cruiser and 20 minutes later a Des Moines officer was found shot and killed. The murder, or murderers are still on the loose and several agencies are working together to find the killer or killers. 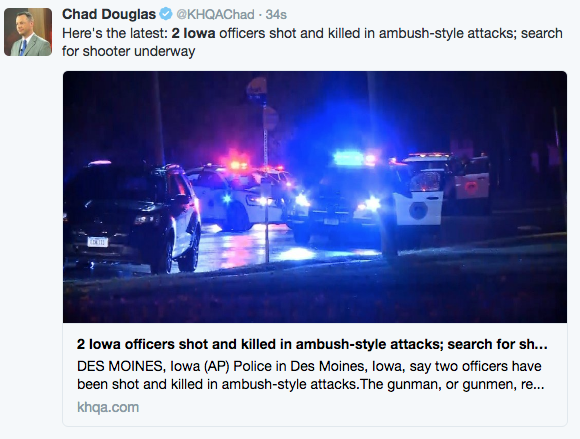 Des Moines Police Sgt. 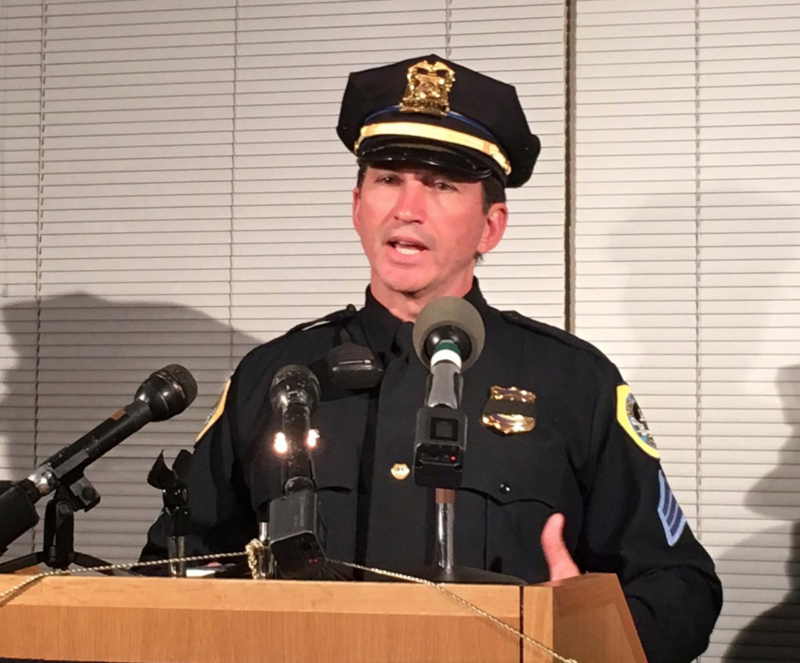 Paul Parizek was emotional during the news conference and said police officers are in danger right now in the area because these officers were gunned down in cold blood while simply sitting in their cruisers.